The Electric Light Orchestra was unique in that they harkened back to The Lads and the 60s, but stayed true to the British rock of the 70s. The band from Birmingham, England a bigger hit here in the U.S. than in its native UK. Their fourth album, about the thoughts, images, and sensations that distract during daylight or occur in sleep, stuck in listeners’ heads in more ways than one. 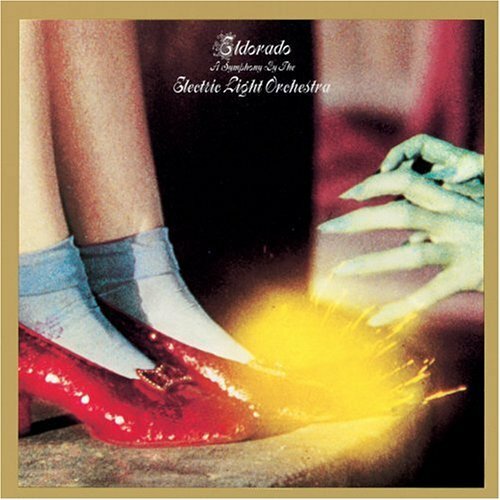 ELO’s first concept album, The Wizard of Oz image instantly recognizable by young and old upon release. The key moment of the film, one frozen on the psyches of movie-goers, young Dorothy’s ownership of the enchanted slippers never more clear as the villainous old crone greedily wishing to possess them was manifestly spurned. The image electrifyingly etched for viewers of the film and album. #2 Side One is my favorite.